This was a great meal that took about 30 minutes to prepare. Start with the asparagus, and potatoes’, then cook the chops so all items are done at the same time. In a large pan heat the oil over med high heat. Salt and pepper the pork on each side and sear them for about 2 3 minutes per side. 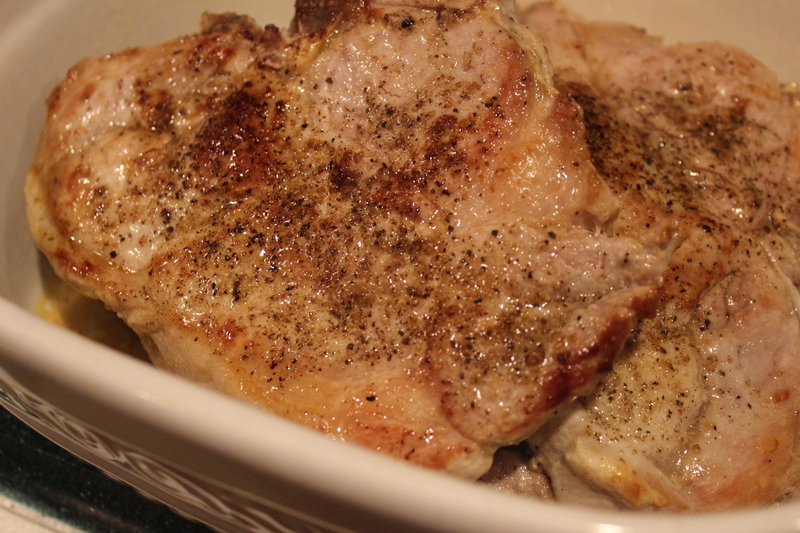 Set them aside in an oven safe dish; once all the chops have been seared place them in the pre-heated oven to continue cooking. Meanwhile, in a small bowl combine the syrup, mustard and water. Remove add to the pan the chops were cooked in and cook on med high heat until reduced. 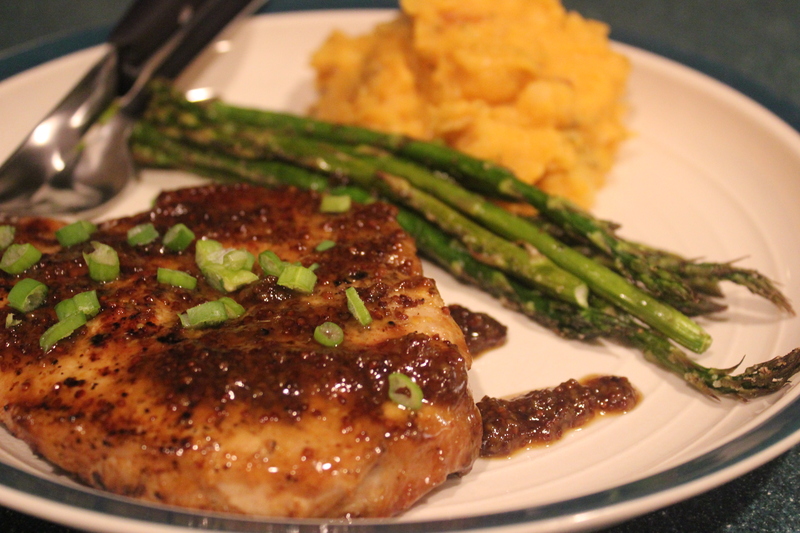 Remove the chops from the oven coat in the glaze and serve with Roasted asparagus and sweet mashed potatoes. Cut off the tougher part at the bottom of the asparagus, you can tell how much to cut off by taking the asparagus and holding t in both hand bend it until the end breaks off. The ends are way too tough to eat. 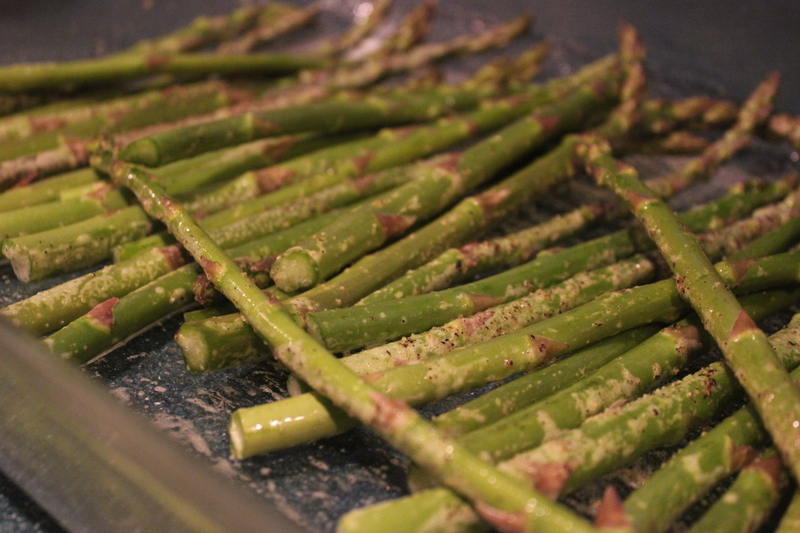 Place the asparagus on a baking sheet in one layer, drizzle with oil and salt and pepper and place in the preheated oven. Cook for about 15 20 minutes. Two yams and two russet potatoes cut into small pieces. Boil the potatoes’ and yams until tender, drain and mash with the other ingrediants. NOW THAT WAS EASY!